The CDC fly, nowadays known world wide, were first tied in Switzerland nearly 100 years ago. 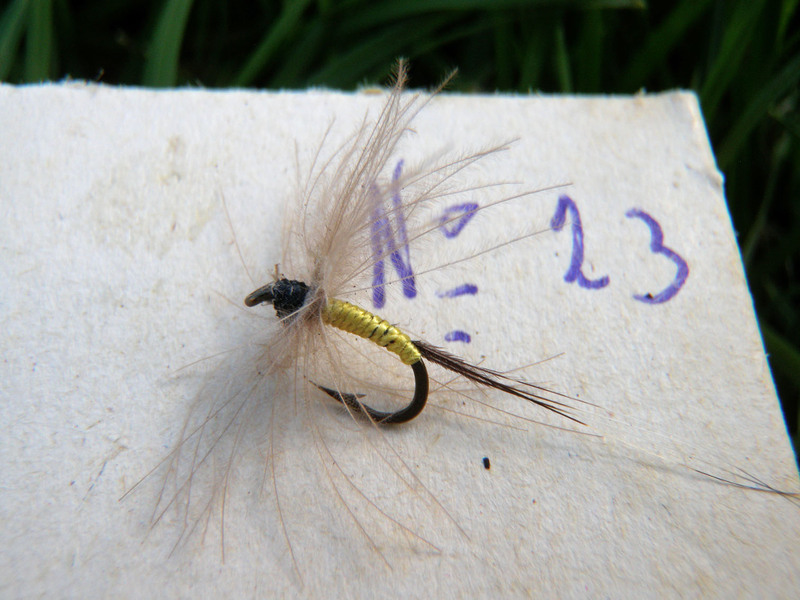 Cul de Canard as fly tying material was first used in the Swiss Jura mountains were the famous, slow flowing chalk streams Doubs, Sorne, Orbe and other home the most difficult fish. 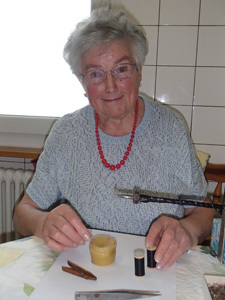 The flies sold here are very near to the originals, made for you with the same hooks, feathers, threads like the old the real Ioset flies, by his daughter in law, Alice Ioset. These flies are made for fishing- fish successful with them as Maximien did in the old days. The price will rise according to the numbers left in stock. CDC fly "Moustique du Jura, jaune"
One of the first CDC flies and probably the most successful ever made. This fly caught several thousands of trout and grayling- and continues catching them. 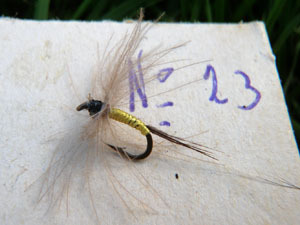 This CDC fly with the yellow silk body was one of the best selling flies of Ioset, invented nearly 100 years ago. Fishes best in late spring and early summer. Original remake by the daughter in law, Alice Ioset (made with original hooks and tying materials like the famous Zwicky 598 silk).